BMW, VW will build fast-charging stations for EVs in U.S.
BMW sells the i3 EV, shown, along with the i8 plug-in hybrid supercar from its i subbrand. DETROIT (Reuters) -- BMW and Volkswagen are joining with ChargePoint to build fast-charging stations for electric cars and plug-in hybrid vehicles in the U.S. The companies plan to install nearly 100 ChargePoint ports on the U.S. East and West Coasts by the end of this year as part of an effort to promote greater sales of EVs such as the BMW i3 and the VW e-Golf. "Most people will rarely use it, but knowing it is there seems to remove a big purchase barrier" for electric vehicles, said Gage. 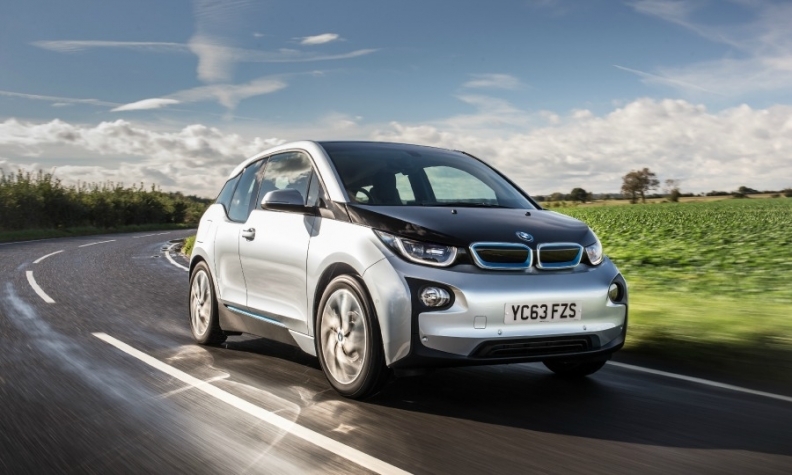 Many EVs have relatively short driving ranges of less than 160km (100 miles) between charges. The BMW/VW endeavor follows the establishment by U.S. electric carmaker Tesla of an extensive network of fast-charging stations for its battery-powered Model S sedan. Tesla's Supercharger network, where Model S owners can quickly recharge their cars for free, now has nearly 2,000 ports at more than 350 stations around the world, including 160 in the United States and Canada. The Supercharger port uses a proprietary design that only works with Tesla cars. The ChargePoint network offers several kinds of ports that will accept SAE Combo connectors - an industry standard type used on the i3 and the e-Golf - as well as the CHAdeMO connector used on the Nissan Leaf. The stations will also have Level 2 chargers, which can recharge most EVs at a much slower rate. To access the ChargePoint network, owners need a special card or a ChargePoint smartphone app. BMW and VW owners are automatically enrolled.